We look forward to seeing you at one of our downtown Spokane locations. 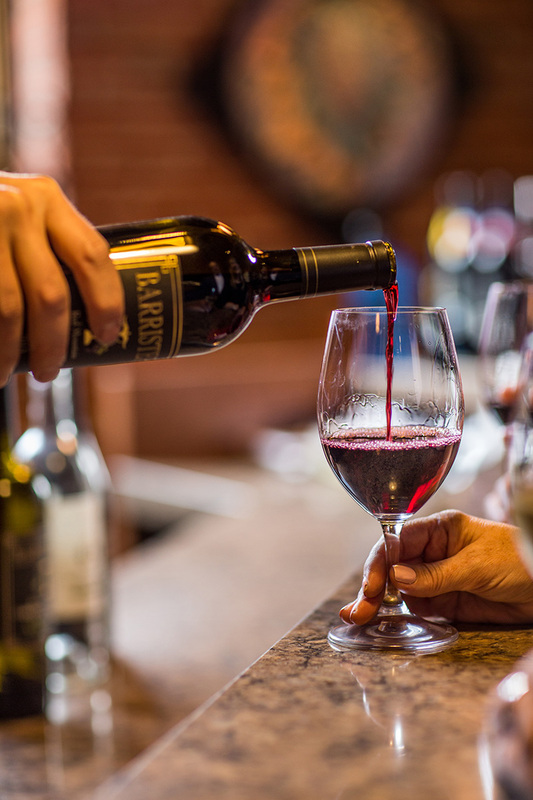 With the great support of our patrons, Barrister Winery has two unique locations. We would love to see you soon at one of our Spokane locations. Barrister Winery is located in a historic brick and timber building with a beautiful urban garden courtyard. Our renovated 1908 building is on the National Historic Registry. This is our main production facility and has tastings available daily. This location is our home for special events, weddings and public events. This is the original Spokane winery location. Barrister Downtown Tasting Room is our satellite tasting room across the street from the Davenport Grand Hotel at the east entrance of Aunties Bookstore. This location offers tastings seven days a week and stays open later into the evening. This is our new Spokane wine tasting location. Design Fixed Focus Media. Copyright Barrister Winery. All rights reserved. Unless otherwise noted, all images provided by Ifong Chen Photography.